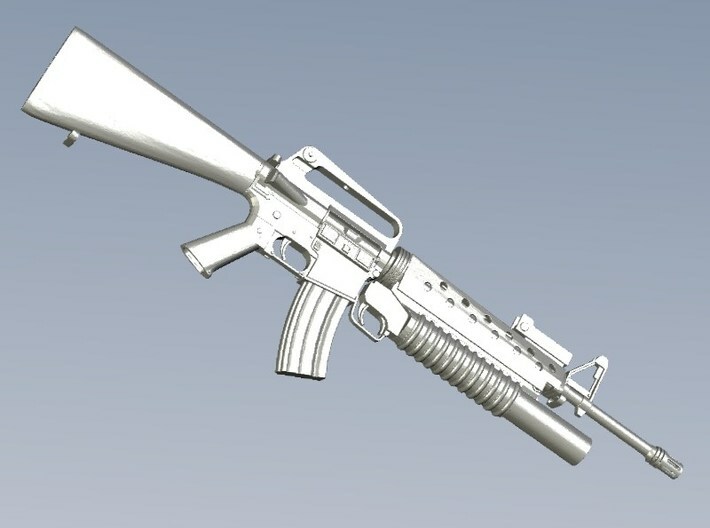 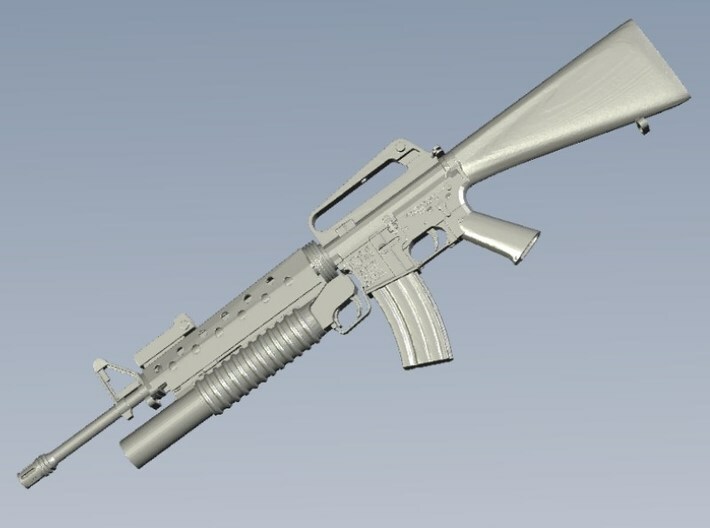 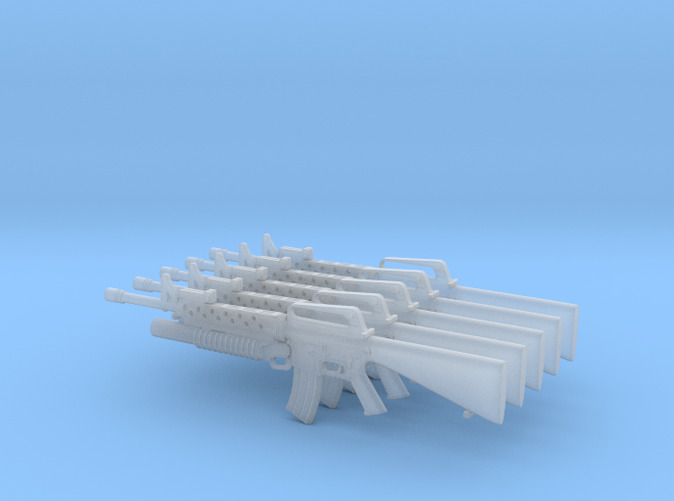 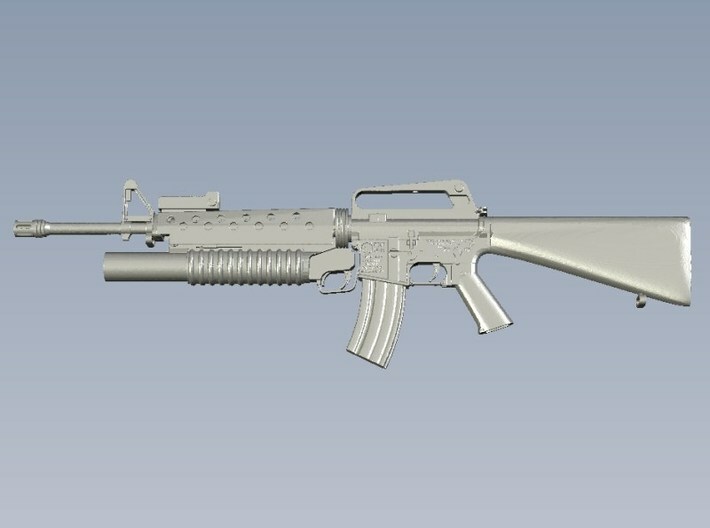 The Colt M-16 is a semi automatic selective fire 5.56x45mm NATO assault rifle with a 20-round magazine produced by the US armaments manufacturer Colt. 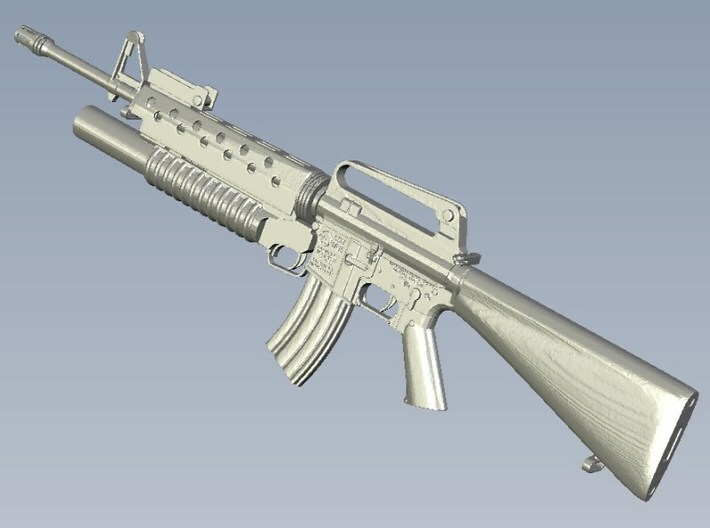 In 1964, the M-16 entered American military service and the following year was deployed for jungle warfare operations during the Vietnam War. 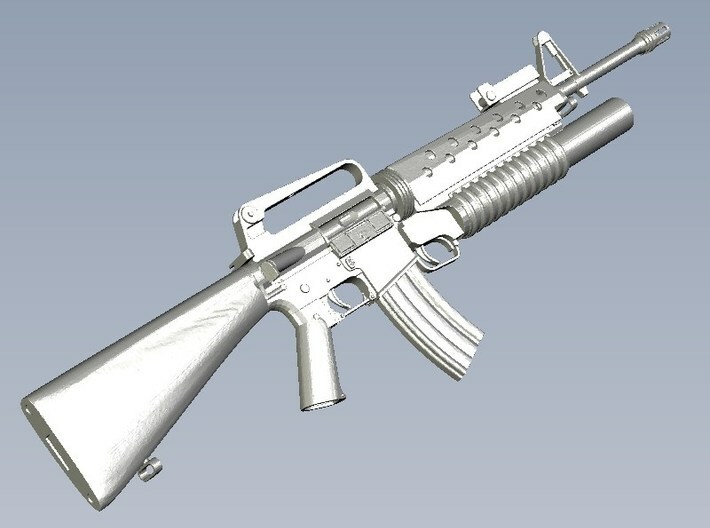 Since then, multiple improved versions came including a bolt-assist chrome plated bore, new 30-round magazine, adjustable rear sights, case deflector, heavy barrel, improved handguard, pistol grip & buttstock as well as a semi auto & three-round burst fire selector, removable carrying handle & picatinny rail for mounting optics and other ancillary devices etc. 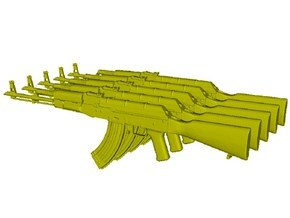 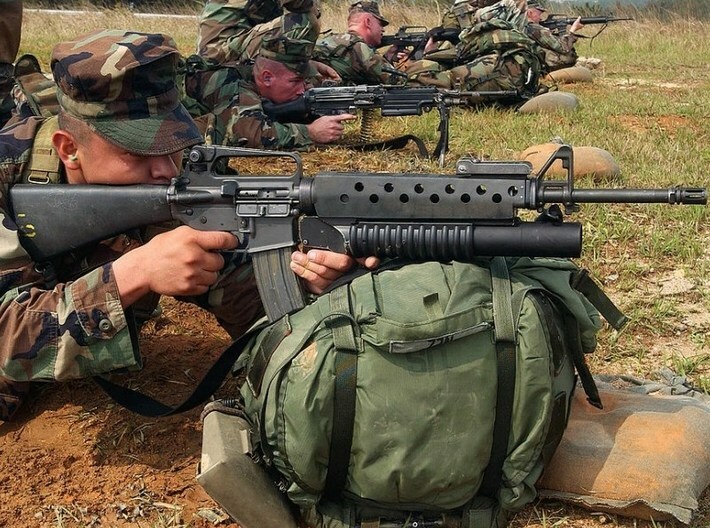 The M-16 has also been widely adopted by other militaries around the World. 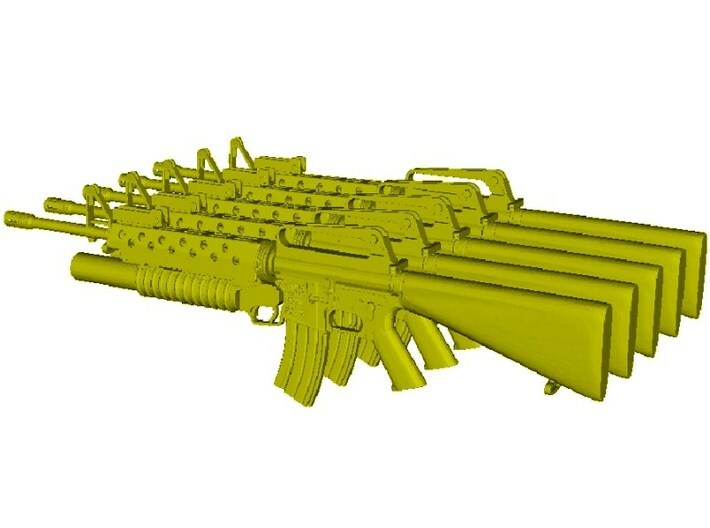 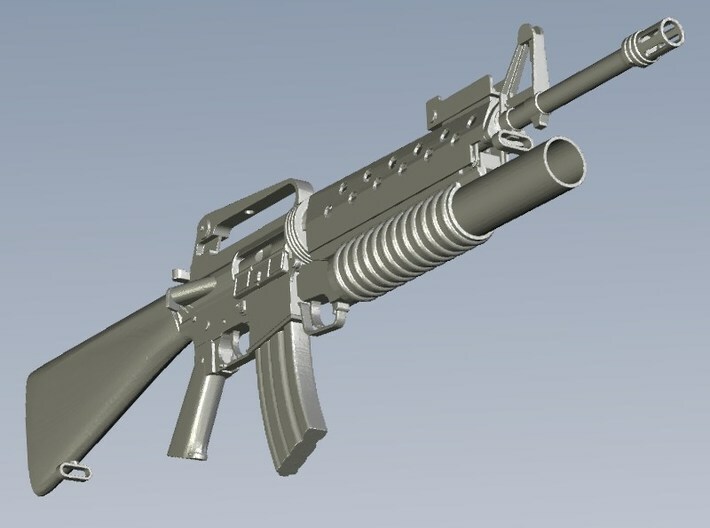 This kit contains all necessary parts for assembling FIVE rifles with the Diemaco M-203 40mm grenade launcher, under 1/30 scale, to be used with same scale figures. 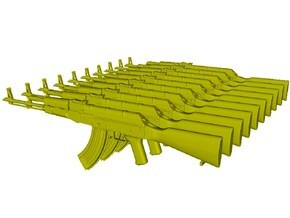 Any extra diorama accessories are not included and should be purchased separately.